Fall is finally here and the spiders are coming out just in time for Halloween. 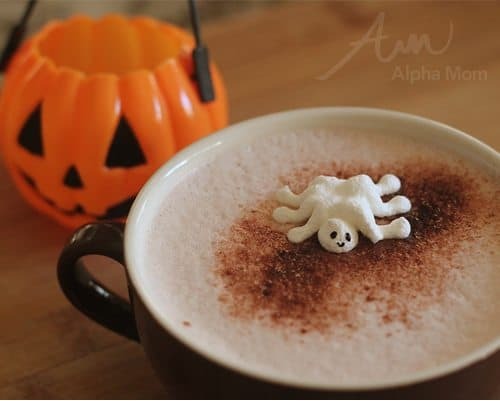 They’re even creeping into desserts in the form of cute little Meringue Ghost Spider Treats! How can you resist them? 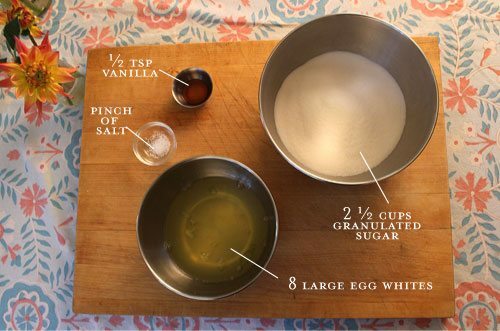 I teamed up with my favorite baker, Elyssa of Mixed Bakery, for this recipe that is sure to charm all the trick-or-treaters in the house. 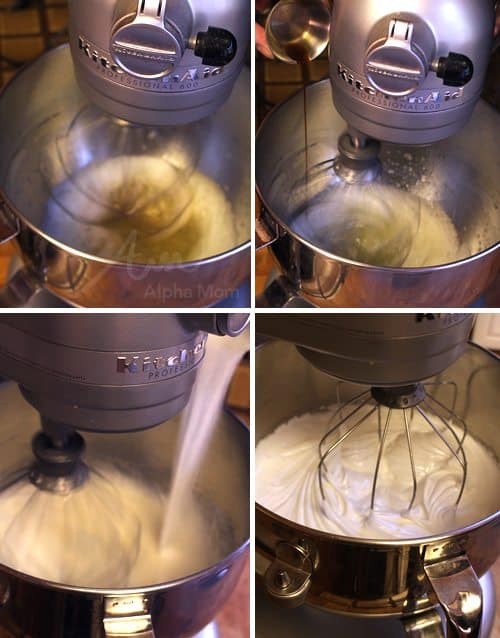 A stand mixer or electric mixer is best for this because you’ll need to whip your egg whites until they peak and that can take a long time. You could conceivably whip them by hand but you’d get a crazy arm work out. 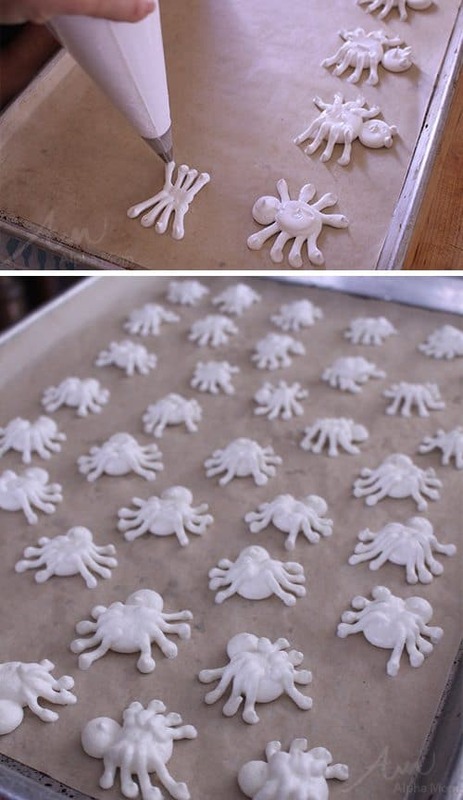 When your meringue is ready, scoop it into a piping bag with a small round tip and pipe your spiders onto a parchment paper-lined cookie sheet. 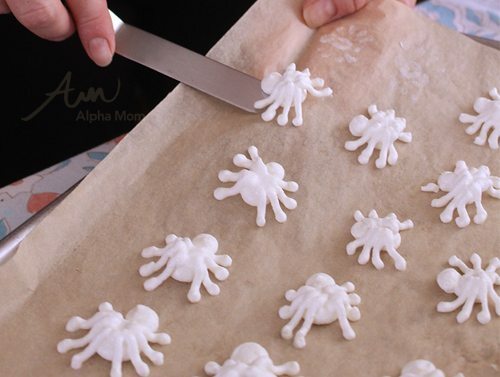 We found that the best way to make the spiders was to create two (touching) circles of meringue, one smaller one for the head and a larger one for the abdomen. Then we added the eight legs on top of the abdomen so they look like they are curving downwards but you can experiment and make the spiders any way you like. We made ours small (about 1-inch size) because they look so cute, but you could easily make them bigger, even cookie size. Whatever size you decide to make will affect your cooking time. Smaller spiders will require less time (ours took 30 minutes) whereas larger spiders (cookie size) would probably need longer. It’s best to check on them as they bake and when they start to harden you know they are done. When the spiders are done, let them cool. If they still seem a bit soft or sticky after they are cool, pop them back into the oven for five minutes. You really want them to be hard so they are easier to remove from the parchment paper. Legs that stick to the paper tend to break and then your meringue spider won’t have all his legs. But don’t take it too hard if you lose a few. 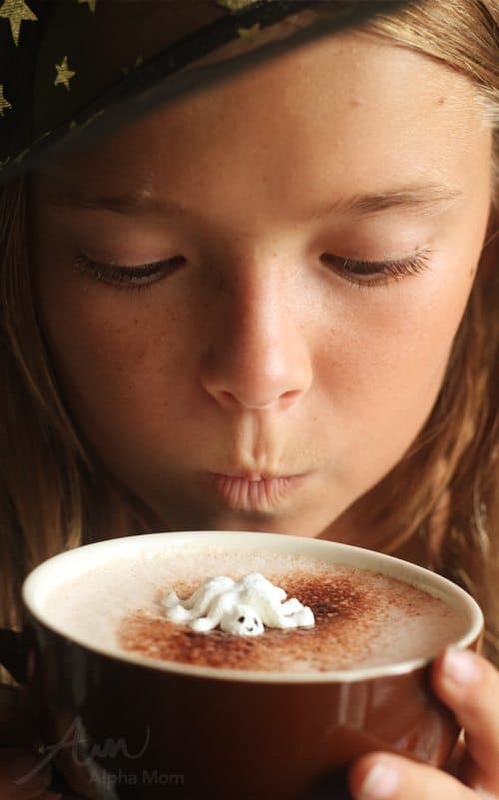 These are tricky to make and require some patience. That’s why we made so many of them. 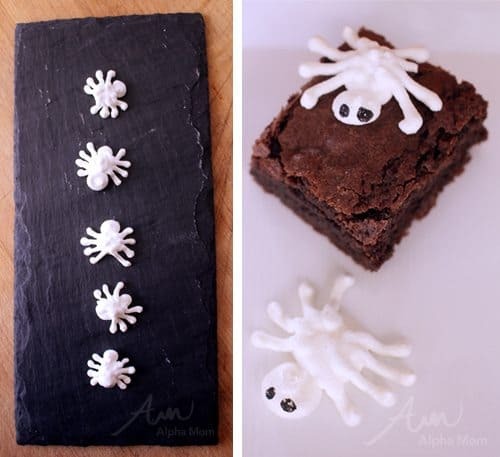 After the meringue spiders are removed from the parchment paper, plate them on a pretty dark plate (for contrast) or even add them to a brownie. If you like you can even add eyes with a toothpick or cotton swab and some black food coloring but that’s completely up to you. We found that they were super cute and creepy with or without eyes. 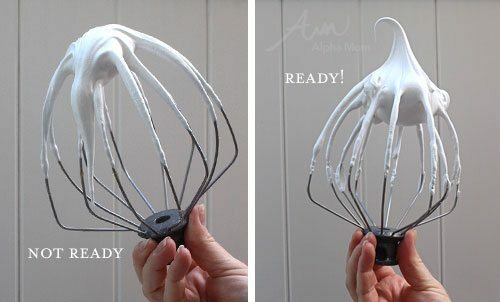 *a ziploc bag with the corner cut off could work here too but a piping bag will be more precise.